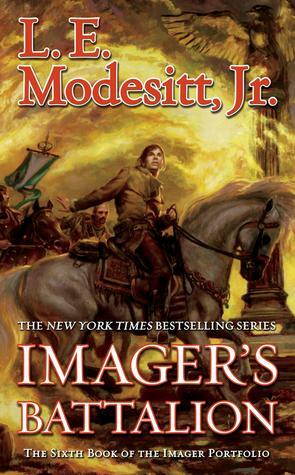 Book Review: Imager’s Intrigue (Imager Portfolio #3) by L. E. Modesitt Jr.
A complex, slow-developing end to the first three stories in the Imager series. (The next book is a prequel.) The protagonist keeps telling us he doesn’t get it–and reviews the disjointed puzzle pieces he does have ad nauseam–then he gets it and acts. And the reader is left to connect the dots. A fascinating primary document from the height of the Civil War: An English officer traverses the Confederacy, interviewing the leaders and soldiers. His assessment: even after Gettysburg the South could have won. Granted, by that time he had Stockholm Syndrome symptoms. His northern contacts didn’t enlighten him otherwise. On the other hand, as the preceding quote indicates the 1954 editor missed the mark entirely. Fremantle’s journey and journal were equally amazing. Landing in Mexico, he traveled across the south, sharing public transportation and accommodations with common travelers, connecting with Confederate leaders whenever possible, who usually welcomed him into their confidences and occasionally their staff, all the time understanding he had no official standing (but perhaps still hoped England might save them). to return home, he traversed the North as far as New York City and shared passage to England with Northern partisans.